How will pay rates via an umbrella company look post-April 2020? Contractors' Questions: How will pay rates via brollies look post-2020? Contractor’s Question: If PSCs like me are forced to use umbrella solutions as a result of ‘inside IR35’ decisions due to private sector IR35 reform from April 2020, will this increase or decrease day rates? And isn’t a contractor’s day rate via a brolly double-taxed already? Expert’s Answer: In the immediate aftermath of the public sector IR35 reforms, it wasn't unheard of to see clients/agencies increase rates, either to ‘soften the blow’ of the changes or to completely negate the impact on earnings. It is certainly HMRC's intention that the organisation receiving the services should ‘pay’ for the services, although the reality isn't always that clear-cut. Of course, a lot depends on how valuable the contractor is to the client/agency, so if you and your services are suitably valuable you should be in a strong position to negotiate the rate upwards. As to your question about double tax on day rates, there is a common misconception that the rate paid to the umbrella company is the contractor's daily pay rate. Actually, the charge rate paid to the umbrella company is its income for providing its services, just the same as the income a PSC receives is its business income. The difference is that the umbrella company employs multiple contractors rather than the PSC typically only having the owner/director and so from its income, the umbrella has to ensure it covers all the cost of employing its workforce when calculating the individual's salary. Employer's National Insurance is the largest of these costs, but its common practice for rates paid by agencies to umbrellas to be appropriately uplifted to take these costs into account. 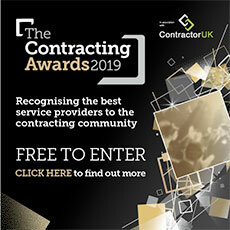 The expert was Helen Christopher, operations director at contractor accountancy firm Orange Genie, and the host of a private sector IR35 reform survival webinar on ContractorUK.